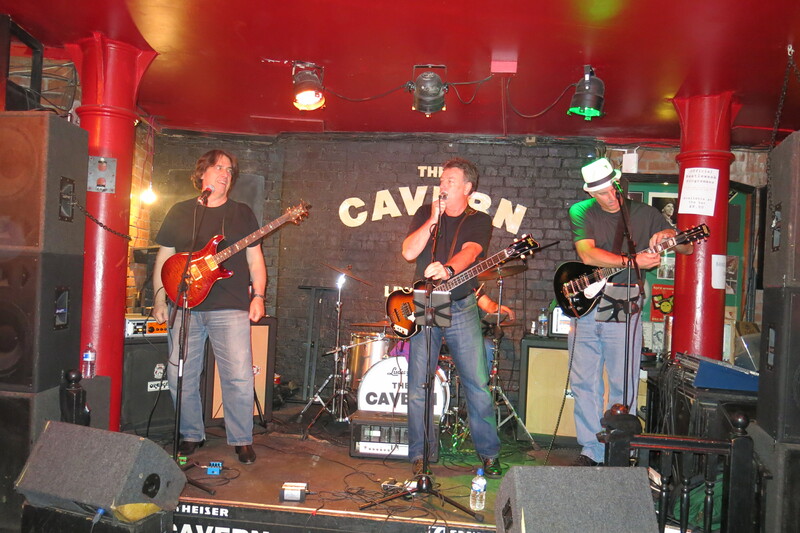 There is still a Cavern Club in the Cavern Quarter of Liverpool. They try and make you think it is the original. It is not, though they used bricks from the original to build the new Cavern. Outside many of the bricks have band names etched into them. 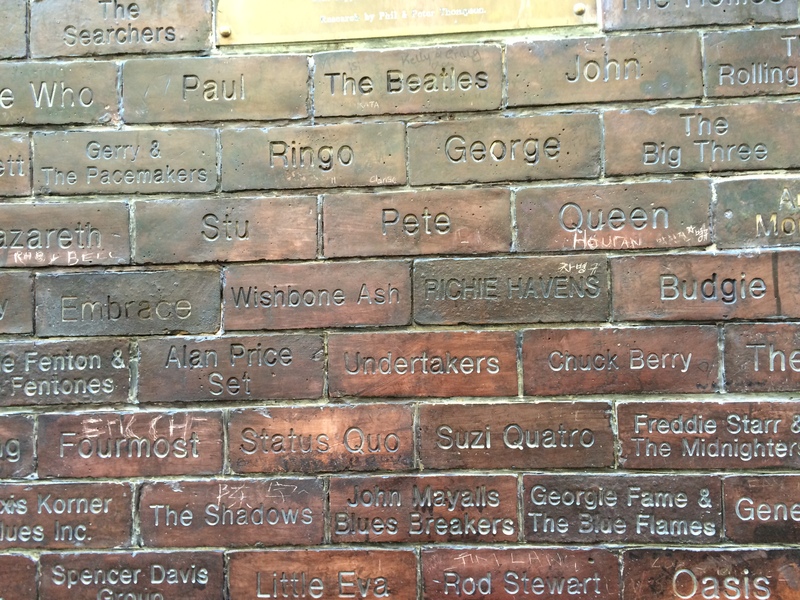 We found the spot where The Beatles brick is surrounded by Paul, John, George, Ringo and even Pete and Stu bricks. 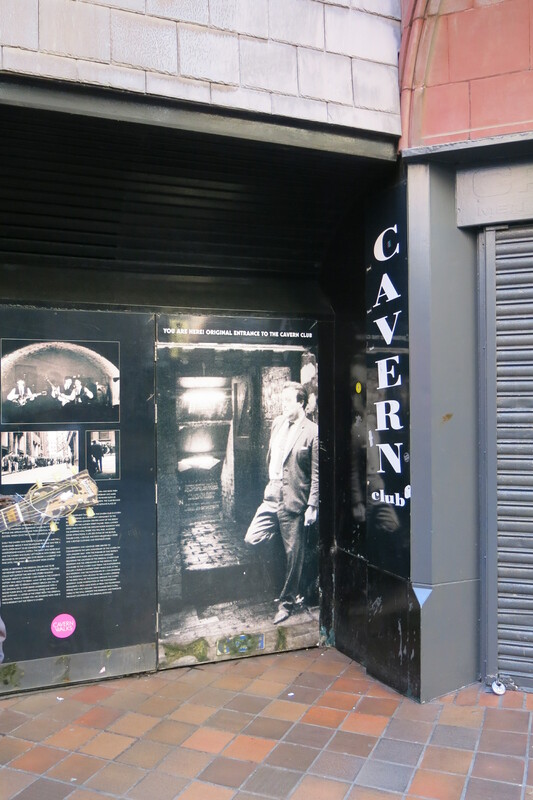 Actually the entrance of the original Cavern Club is down the street on the opposite side of the sidewalk where we had the street musician step aside so we could get a photo. 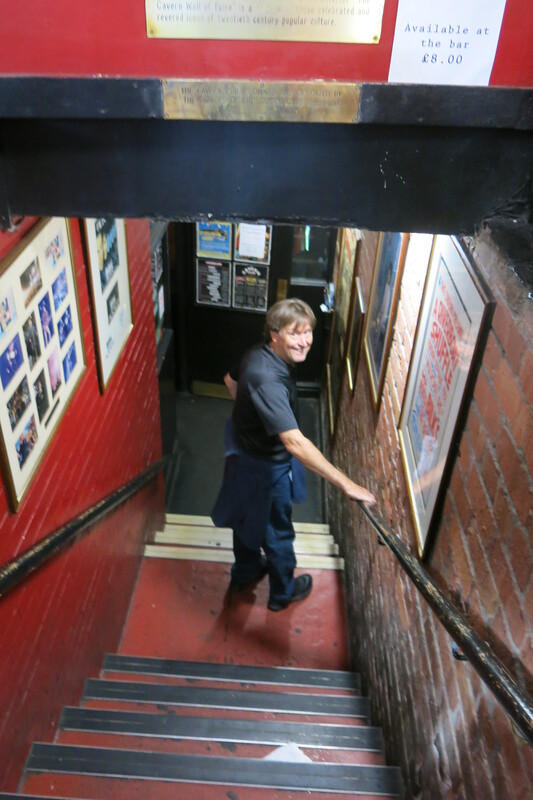 Here is a photo on the right of me walking down the stairs to the new Cavern Club to listen to a bit of the only US band on the lineup for the day, The GoodFellas. Although the bass player used an original Hofner 500/1 (Beatle Bass), he butchered the bass line in the verses of “Come Together”.